Google announced that it’s shutting its social network, Google Plus, after a data breach that could have affected as many as 500,000 users. The issue was an API — an Application Programming Interface, which allows apps to talk to each other more easily. In this case, a little too easily: The Artist Everyone Still Calls Google says 438 third-party applications could have had access to personal information gleaned from the largely-dormant profiles of its users. 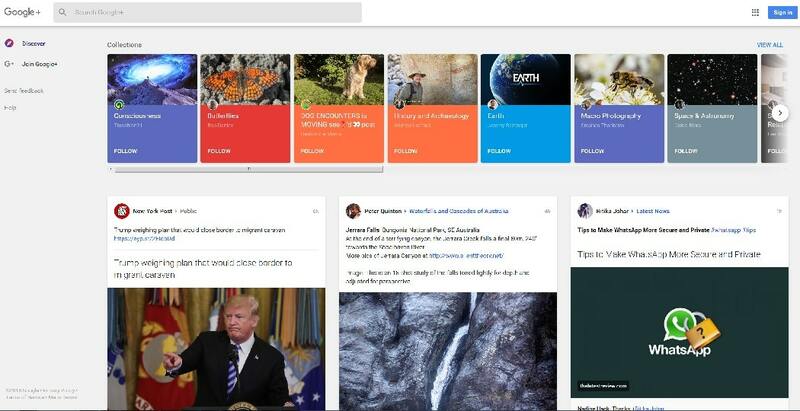 Google Plus was Google’s attempt to make a social network; technically functional and with membership bundled with other Google products like Youtube and Gmail, it’s been regarded as a wasteland almost since its inception. But user data can still be stolen from dormant profiles. Google says there’s no evidence that has happened — but it doesn’t know for sure that it hasn’t either. One advantage of presiding over a hotel full of empty rooms is if you find a bug, you can just close down, and that’s Google’ss plan: it’s shuttering Google Plus for good in ten months, so now’s your last chance to see the tumbleweed. There’s still a question about how long Google’s known about the leak though. The leak seems to have happened before GDPR, so Google’s not on the hook for not reporting or acting quickly enough the way Facebook is. But it does look like they knew as far back as 2015, and did nothing. I use Google products myself, and I like some of them well enough. But it’s time to face up to the fact that Google is just another Facebook: it’s a data aggregator and retailer whose free services are really data gathering tools. Everyone should be concerned about that, not just because of the obvious privacy issues but because they’re not even very good at it. Check out the headlines on Facebook and Google for the last year and you’ll see actual tech companies, built from the ground up by actual programmers, giving nation states a run for their money in the ‘oops, we lost your data’ stakes. We need to switch over to understanding that people own their own data, and acting on that understanding. That will need legislative action for sure; but individual action can make a difference too. If you want to keep your data safe and secure, do it yourself.